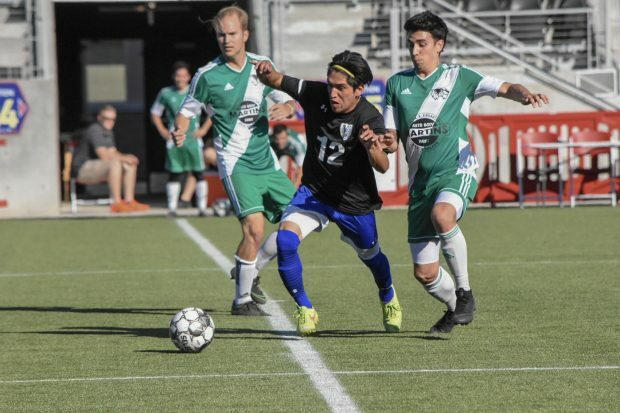 After a nine-game winning streak, the Salt Lake Community College men’s soccer team fell for the first time this season to undefeated Snow College Friday, 3-2. Despite the loss, the No. 3-ranked Bruins have rumbled through the Scenic West Athletic Conference with a 10-1 record. That success is no surprise to head coach Mark Davis. 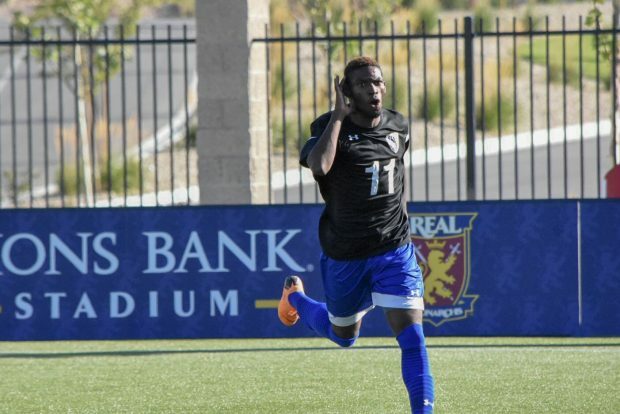 Only in its third season as a National Junior College Athletic Association program, SLCC men’s soccer has always been primed for success. “When we received full funding in 2016 and became an NJCAA program, we already had all the tools we needed,” says Davis, noting SLCC soccer was only available at the club level before then. The secret, he said, revolves around doing whatever’s possible to improve on and off the field, every day. “We focus on family, doing the right thing and winning the day,” says Davis. An emphasis on character and strong work ethic are also drivers of the team’s success. “We like to recruit players who want be here and who want to work hard,” adds Davis. Assistant coach Drew Hanna reiterated Davis’ remarks. “Everyone gets up in the morning and puts their pants on the same way, but these players simply want it more and they’re willing to do all the little things that lead to dominant performances on Friday and Saturday,” says Hanna. Though the goal every year is to compete for the SWAC, Region 18 and NJCAA championships, both Davis and Hanna continue return to the team’s ethos of discipline. “We try not to get ahead of ourselves and we try to treat every single game the same,” says Davis. Considering the level of talent in the SWAC, it’s imperative the focus only be on competing in the next game, emphasized Davis. The team has standout players, like freshmen Enoch Mushagalusa and Innocent Twishime, who have 18 and nine goals in nine games, respectively. Davis offers that the team’s cohesion is another fundamental component of its success, though. “We don’t do anything different in terms of tactics, but the team meshes really well and that’s what’s important,” says Davis. Hanna also suggests the team’s dominance can be attributed to every player’s desire to push themselves and their teammates. “Most players switch off at some point, but these players don’t. They keep hammering away at each other, trying to make the team better every minute of every practice,” says Hanna. Although the Bruins lost Friday to Snow, the team pushed past the Badgers on Saturday with a nail-biting 1-0 win. The Bruins face the College of Southern Nevada, with a 6-1-1 record, on Sept. 28 and 29.